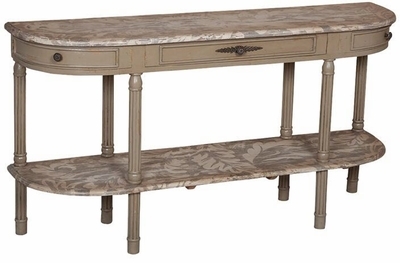 FLUTED DEMILUNE TABLE - Italian Stone with light distress finished on hand-carved mahogany demilune table. Hand-painted artwork on table top and display shelf. Antiqued hardware.